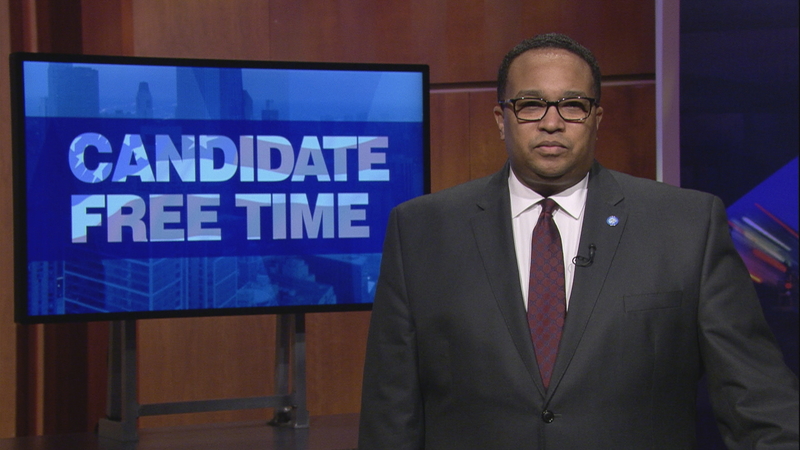 Video: Stanley Moore tells voters about his platform. Learn more about Candidate Free Time. Family: Commissioner Moore is married to Mrs. Lisa Moore. Political Experience: I was appointed in April 2013 as the Cook County Commissioner of the 4th District and elected as Cook County Commissioner in November 2014. As Cook County Commissioner of the 4th District; I represent all or parts of the 6th, 7th, 8th, 9th, 10th, 18th and 21st Wards, as well as all or parts of Lansing, Calumet City, Burnham, Evergreen Park, South Holland, Dolton and a small part of Lynwood. What is your vision for the office? I will work to make it easier to start and grow a small business in Cook County. By supporting small businesses and entrepreneurship, we can grow jobs faster in the 4th district. I will work to eliminate the red tape that holds back small businesses and entrepreneurs from doing business with Cook County. I will support tax relief and tax simplification in tax incentives, that the county provides to struggling businesses. I will provide targeted funding and support for entrepreneurship and small business growth in underserved communities. I will support more of the Land Bank initiatives so we can eliminate blighted dilapidated homes in the community, and provide a sustainable path to home ownership for more families that want to live comfortably in our community. Make our community a place where people can be proud to call their home and feel safe to raise their kids. I will continue to support American manufacturing. I have been working to open a manufacturing training facility in the 4th district. This will help to create thriving hubs of manufacturing and innovation throughout the county. Currently 80% of manufacturers report a moderate or serious shortage of qualified applicants for skilled and highly skilled production positions. Manufacturers invest approximately $3,000 in training for each new hire. Manufacturers spend approximately $1,500 per employee in training each year. My Training program will allow graduates to earn industry credentials through the National Institute for Metalworking Skills (NIMS), such as: CNC Milling Level 1 and NIMS CNC Turning Level 1, and they will also complete the OSHA 10 HR safety course and receive job placement upon graduation. The most pressing issue facing the 4th district is the inability for its citizens to live in a community that they can be proud of without the threat of violence, as well as good paying jobs for so many without. This is why I envision using my office to help promote economic development and a pathway to homeownership. I also am working hard to identify funding for anti-violence and job training. This is your Cook County Commissioner Stanley Moore of the 4th District. At a time when the State, County and City budgets are tight and the community needs are many we look for innovative methods of promoting economic growth in the community. In order to achieve that growth, we must work together to increase our communities’ desirability as a place to live, work and shop. Public and private partnerships, and your participation in the upcoming 2020 Census count, can be a powerful tool for us to leverage private and public dollars to achieve life-saving goals by reducing the risks and burdens of tax payers. I’m using such partnerships in the 4th District, like working with a manufacturing association to bring a training facility into my District. This partnership will be the foundation for community growth through their commitment to hiring people from the community who have a desire to work hard and learn the field through job training and mentoring. I’m encouraging you to ask your Elected Officials, including myself, to think outside of the box and find ways to bring home resources, training and jobs which will result in local development occurring in and around our community. Once we put people back to work we will put a stop to the senseless violence that has plagued our community. I’m Cook County Commissioner Stanley Moore of the 4th District, and I’m asking you to re-elect me as your 4th District Cook County Commissioner.